The 2014 elections are coming to a close and praise for the world’s largest democracy conducting peaceful elections has been heaped on India, by most of our own media. The Election Commission also pats itself on the back for the massive task undertaken and pretends that all is well. This time however, the election commission has not carried itself with any glory. Rather, it deserves brickbats for its commissions and omissions. First is the duration of elections. I have never seen any LS election in India conducted over such a long period. Without any of the modern technology/communication facilities etc, in the eighties, it used to be over in less than a fortnight. Now the commission has extended it to more than two months. Its notification on 5th March initiated the so-called Model Code of Conduct which ends after the completion of all polls on 15th or 16th May, depending on re-polls. Of course it has been partly relaxed in states where polling is over. On the whole, for nearly two months, all government activities have come to a standstill due to these “innovative” polls. Of course one can argue whether the government is “active” at other times. The reasons given for such a long polling period is security and a fool proof success of our democratic exercise as if earlier elections were all failures. At this rate next time EC will extend polling to one year so that it is without any blemish. It is really bizarre and crazy that in these times of instant communications and electronic voting, the election commission needs more than ten days to do a poll. 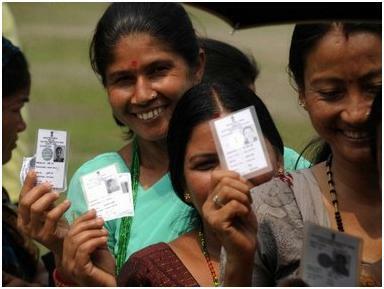 In fact, the southern parts of India and most of the Western regions do not face any major problems of polling. The possible problem areas are Bihar/Eastern UP and WB and J&K and North East. Instead of focusing on these areas and also mobilizing more security forces if needed, the EC has opted for a lazy and easy solution of stretching it to two months. In the process many important decisions/tasks have not been carried out by Government departments stating model code of conduct as an excuse. For instance in Karnataka there have been accidents involving Volvo buses resulting in large scale deaths in the last few months. The demand for an emergency exit to be fixed in all such buses began to be accepted –rather reluctantly by private and Government bus operators. But news items suggest that the process of fitting emergency doors have been postponed due to model code of conduct. Also timing has not been appropriate. For instance in Bangalore the polling day was sandwiched between many holidays giving rise to voters not exercising their vote due to travel etc. The basic dharma of the election commission is to have proper electoral rolls and see that all eligible voters are able to exercise their franchise without any difficulties. But unfortunately the EC has failed in that duty. The important task is to integrate State Assembly rolls with LS rolls since in places like Bangalore where people have voted in recent Assembly polls found their names missing in the LS poll lists. In places like Mumbai and Pune largescale deletions have taken place and some 5 to 6 lakhs people could not exercise their franchise and election commissioner expressed his sorry for that. The involvement of common people in elections is a must in ensuring a proper participatory democracy in a country such as India. The Election Commission’s zeal to enforce the code of conduct may make for discipline and rigor in the conduct of polls, but it has put a host of small traders out of business. This not only keeps people in the dark about the candidates but also alienates the very people who make up the democracy. Elections are festivals of our democracy. It is time to celebrate the power of the ordinary and the importance of the lowest of the low. Newspaper reports suggest that the officials of the Commission have seized saris and utensils meant for distribution to the voters by some of the candidates. Those are considered as ‘bribing to get votes’. But if the same candidate or his political party promised to provide every individual with free saris or TVs or power that is seen as an electoral manifesto. In other words, the system accepts and encourages bribes to be given from the public exchequer but not from private initiatives and wealth. Also, future bribes seem to be preferable to present bribes, according to the Code. A slum-dweller would be happier to receive some utensil or sari at the door-step today than get it later through leaky and slow governmental processes. When so many freebies can be promised and offered from the public treasury by political parties, why not encourage free gifts from candidates? Maybe it can be done in a transparent way, if that is the issue. A register or log-book can be maintained about the donations of an individual candidate. And, anyhow, the voting process is secret. Why deny the poorer segments their due during this “festival” called elections? The sanitized electoral process has some negative aspects that require a national debate. The names of the candidate are not known to many common people belonging to the poorer segments. In the past, supporters used to shout in a coarse voice (from an auto-rickshaw, and using a mounted microphone and speakers) the names of the candidate and sing songs to praise his achievements while requesting voters to consider his case. There used to be hand-bills; wall paintings and other types of information. The involvement of common people is a must in ensuring a proper participatory democracy in a country such as India. We often read of officials talking about information being available on the Internet, etc., in a State where the literacy rate is average and computers are used by a small minority. Even on such media, one rarely finds any weighty discussion on the merits of a candidate other than in party terms. In any case, the importance of elections in our country is to re-instate and re-establish the organic links between the have-nots and the process of democracy. By over-stressing the Anglo-Saxon model of behavior we are possibly throwing the baby out with the bath-water. The excesses by political parties during the 1980s and the 1990s were condemned by all and, as a reaction; a regulatory system was put in place. But the pendulum ought not to swing to the other extreme so that people are alienated from the process itself. Let us not try to impose artificial European-type elections with a funereal atmosphere on the noisy but joyful and colorful Indian public. Our elections ought to be like a kumbha mela with all its pomp and revelry and free food, and not like a dark-suited solemn procession behind a carved casket. We perhaps deserve a fun-loving EC than a funeral undertaker.